Photoshoot Riders always look like they’re having fun. They smile (but not too much), exhale stylishly, and magically appear at just the right moment, filling the photographer’s screen with studied, effortless calm and a wake of equally stylish dust. What the viewers don’t see are the oh-wow-can-you-do-that-again-but-faster-please repeats, the early starts, and the long hours home. Except Juliana Bicycles’ Alex Pavon is always having fun. At least when she’s on a bike. 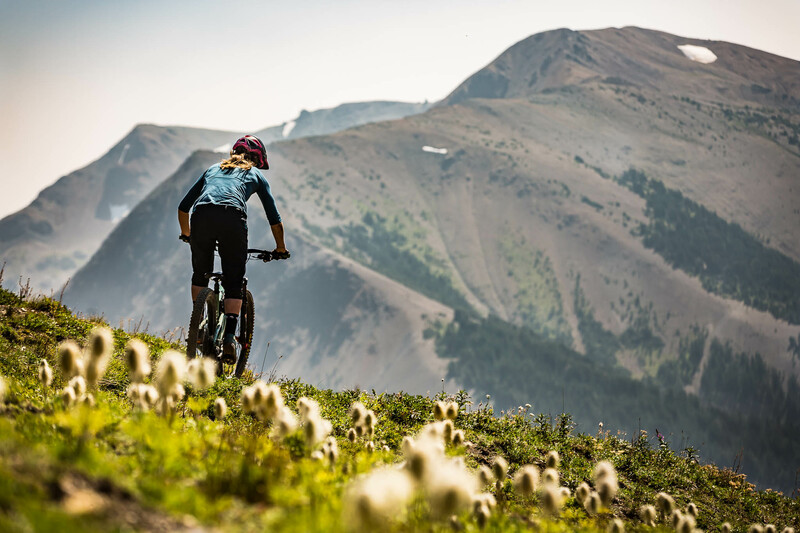 For this Arizona native and ex-professional ski racer, almost any adventure that takes place outside is time well spent – even demanding photo shoots. 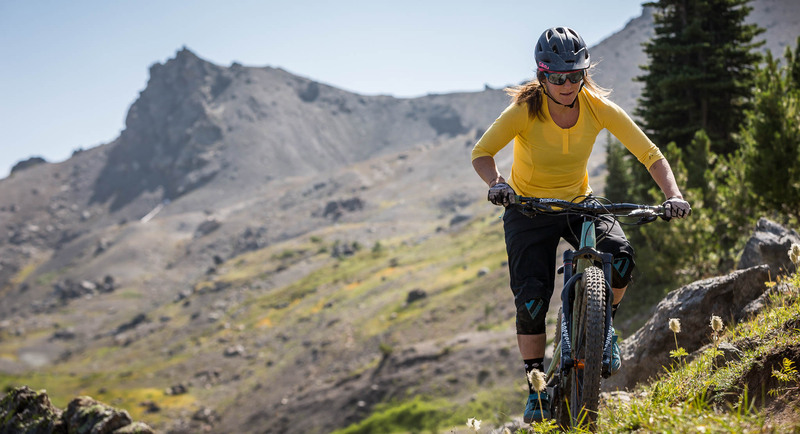 For 2019, 7mesh is excited to be sponsoring Alex and her fellow Juliana-SRAM pro riders, Brittany Phelan and Clare Hamilton. 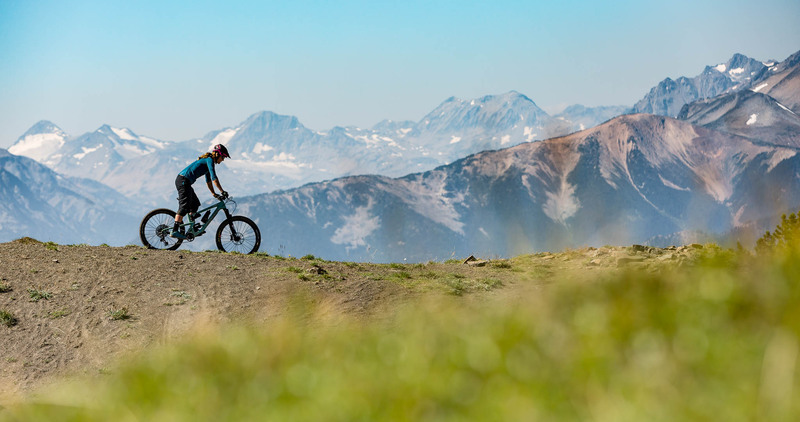 Last year, following a hectic Crankworx, Alex and Brittany flew to the Chilcotins in the company of our very own Kealy Sweet to shoot the 7mesh Spring/Summer ’19 mountain bike collection. Adopted Canadian, Matt Clark, was there to push the shutter. Between shots, floatplanes and wardrobe changes, Alex was kind enough to write up the trip. Here’s her report. Brittany and I rolled up to the dock at Green Lake around 7:30 am red-faced and a little out of breath from our surprisingly brisk bike commute from the house we were staying at over in Blackcomb. It was mid-August, and British Columbia was in the midst of one of the worst fire seasons in history. Gulping in lungfuls of sharp, clean air came as a welcome surprise after a week of 30-degree temperatures and smoke-filled skies. We waited just a few minutes for the rest of our crew to show up: Kealy Sweet, from the design team at 7mesh, and Matt of Stirl and Rae Media Haus, our photographer. Talk turned to the day ahead as the floatplane stirred and started to whip up some chop, ready to whisk us to the Chilcotins. The Chilcotins are a sub-range of the coast mountains of British Columbia, located approximately I-don’t-know-how-many-kilometres due north of Whistler. You can get to the park from Whistler via the Hurley road, a long, bumpy dirt road, across the Duffey Lake road to Lillooet then up, or get a pick up at Green Lake from Dale of Tyax Adventures. Luckily for us, the smoke had lifted enough that day for Dale to be able to fly the plane (other trips later that week would not get so lucky). We loaded up the bikes and off we went, traversing over and through beautiful mountains, lakes, and rivers. A relatively short and smooth flight put us down on Spruce Lake, on the eastern side of the park. 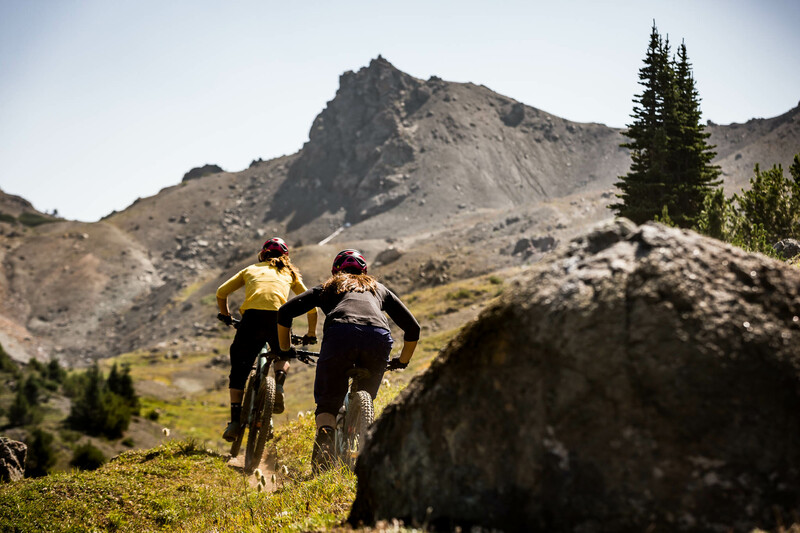 After getting our bikes sorted, cramming our packs with snacks, and watching Dale disappear skywards, we started pedaling along High Trail headed for Windy Pass. Meandering and rolling along Spruce Lake, the trail was pretty mild. There were a handful of puddles and mud holes from the recent rains (not enough to combat the horrific fire situation). We regrouped at an intersection where our guide Brandon had us take a left, and we started the long, grueling climb up to Windy Pass. Just like most climbs in BC, this one was a solid 50/50 ratio of pedaling and hiking (at least for me). We took a break in an open alpine meadow about half way up to shoot some photos before pushing up the final climb to Windy Pass. The top of Windy Pass was something special. It was as if you could see forever, despite the wisps of orange smoke reaching across the landscape. Grey and brown mountains snow-capped and sprinkled green seemed to shoot straight up into the sky, giving the impression of complete isolation from the rest of the busy world. We talked route, took some photos, ate a quick snack, and got the hell off the top of the pass before the black flies could bite us one more time. The descent off the top of Windy was wide-open, off camber, fast and loose. I let Britt take the lead, and down we went doing what we do best—screaming like a couple of banshees and having the best time. Of course, going as fast as you can on a trail you’ve never ridden has its consequences, and when Britt came around a blind corner and found it to be sharper than she thought, with me right on her wheel, we had a little pile-up. I decided it was better to careen down the hillside rather than hit Brittany square in the back, and popped right up with only a small scrape on my elbow. After a quick double check to make sure I hadn’t ripped the shorts or jersey I was wearing, I hiked slowly back up the hill. We took the rest of the descent a little slower. We reconvened where Taylor Creek Trail met High Trail and decided to head up to Camel Pass rather than continuing down High Trail to Lick Creek. Having never ridden Lick Creek but hearing nothing but good things, I was a little sad not to be going in that direction, but quickly forgot about it when we started pedaling up to Camel Pass. The climb to Camel Pass was not nearly as brutal as the climb to Windy, but every bit as scenic and way more windy (ironic, I know). We did a quick wardrobe change, filled our bottles in a creek (Brandon assured us that he drinks water from that creek all the time, and he looked well enough), shot some more photos, and began the long descent down Molly Dog and Pepper Dog back to Tyax Lodge. By the time we got back to the lodge, we were spent. 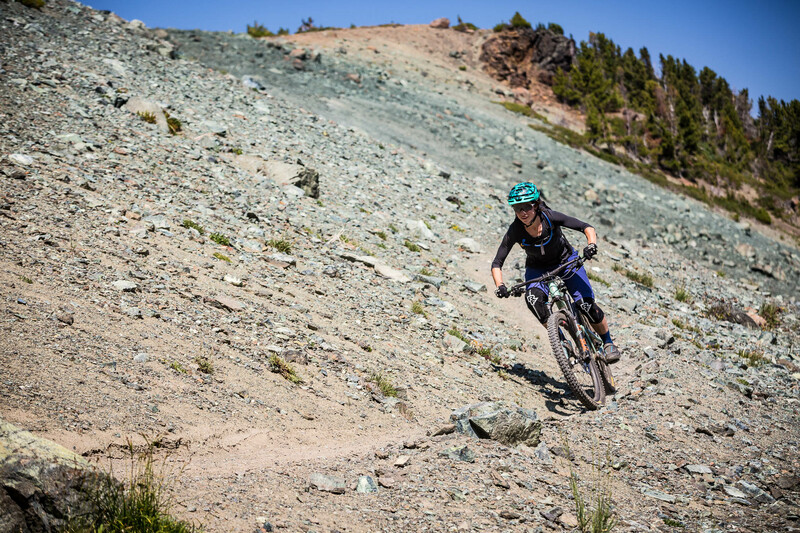 Thirty kilometers and 1,200 meters of climbing after racing the EWS in Whistler had our legs feeling like Jello. Brandon grabbed us some oranges and some Gatorade, which we promptly chugged, and then jumped straight into the lake while we waited for Dale to arrive. I got to ride in the front passenger seat of the plane on the way home, but I immediately fell asleep after we took off. I’m sure Dale didn’t mind me not plastering my face to the window of his plane though. A fitting end to an exciting day.